We are looking for a highly motivated advanced practitioner radiographer with a Masters qualification in breast imaging to join our team and help us to continue to deliver and build upon our successful breast imaging service. You will be working in an environment that supports and promotes the development of your skills and knowledge and, as an autonomous critical thinker, you will demonstrate safe, competent clinical decision-making and expert care across the four core domains of advanced practice. As a senior member of the team, you will support the delivery of policy and procedures, contribute to the development of breast service requirements to meet advancing and increasing service demands and provide innovative leadership as required. You must be experienced in the full range of breast radiological duties including screen film-reading, symptomatic reporting, breast and axillary ultrasound, 14G & VAB stereotactic & ultrasound biopsies and image-guided interventions and pre-operative localisations. In order to maintain continuity of service you will support your consultant imaging colleagues, providing cover during times of absence and working independently alongside Consultant Breast Surgeons. You will manage your own clinical workload and represent the imaging team during MDT meetings, taking the radiological lead when necessary. 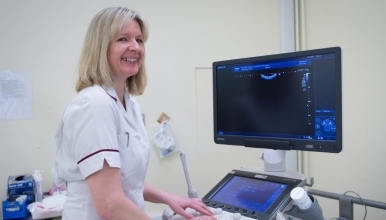 You will also take a lead role in training and education of the breast imaging team and wider clinical colleagues. You will participate in PERFORMS, initiate and conduct audit and research within the field of breast imaging and monitor departmental clinical practice in line with recommendations for best practice to ensure an excellent quality of service to both our patients and the Trust. Following the successful introduction of the breast imaging consultant role, you will take a lead part in further developing the breast service and also supporting the development of similar roles within other radiological specialties. We are committed to putting patient care first and we are looking for a dedicated professional who shares our values and our passion for delivering quality care. You will be expected to have high level of clinical expertise with the ability to work accurately under pressure and to work well as part of a dynamic multidisciplinary team. Good communication and customer care skills are vital together with attitude reflecting SaTH NHS Trust Values. In line with Trust procedure, all candidates undergo a values-based interview to allow us to determine whether individual values are aligned to the Trust values.